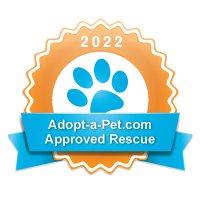 Paws Rescue & Sanctuary is a 501(C)3, non-profit, no kill group, that offers rescue, rehabilitation, and sanctuary to animals in need until they find their forever home. We are made up of volunteers that care for and socialize our animals. Our goal is to offer each one a safe, loving, and permanent home. Sponsoring an animal is a great way you can give. Not only are you donating to our mission, your also helping an animal in need. Support Paws Rescue and Sanctuary Inc by shopping at AmazonSmile. When you shop at AmazonSmile, Amazon will donate to Paws Rescue and Sanctuary Inc. Support us every time you shop.